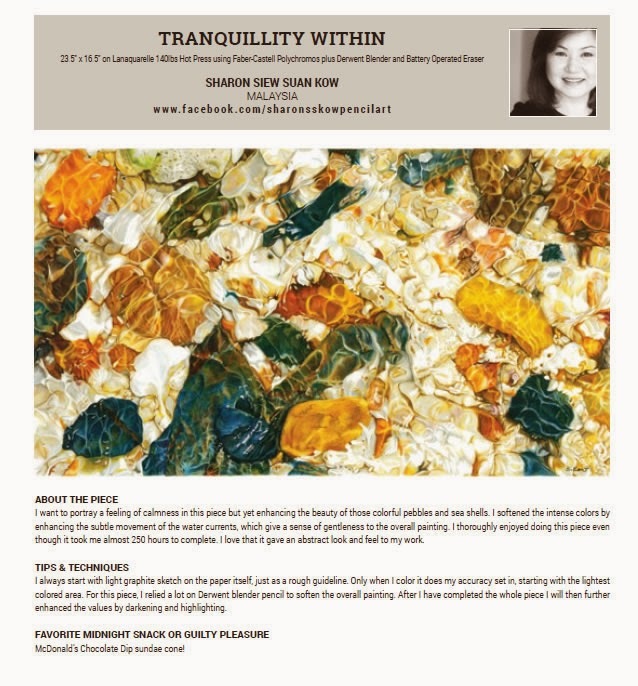 The publication of my artwork in Ann Kullberg’s CP TREASURES VOLUME III was a dream came through to me. To be amongst 90 colour pencil artists from around the globe selected out of 600 entries is a huge honour. Words just could not described my joy! This beautiful book was published in late October 2014, coincidentally with the month and time when my beloved father was called home to the LORD the year before. The Fine Art of Colour Pencil exhibition was held in The ArtESpace www.theartespace.com, Straits Quay, Penang on the 23rd to the 30th of November 2014. 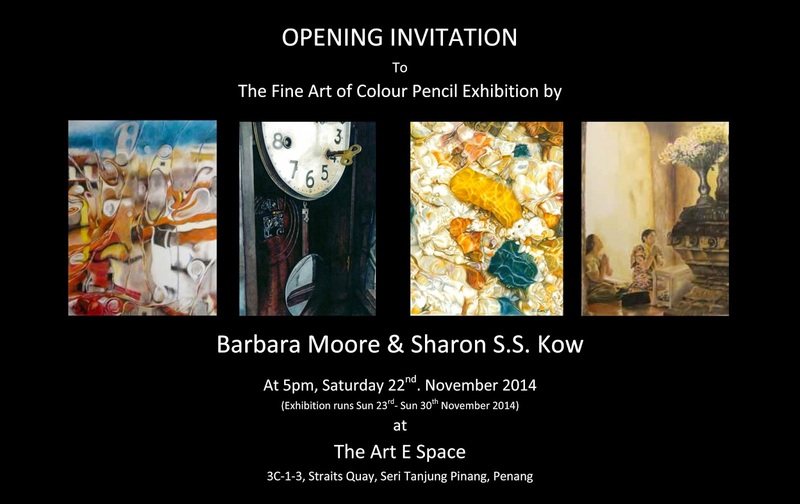 This exhibition was a collaboration between myself and Barbara Moore https://www.facebook.com/BarbaraMOOREart/, a Canadian born artist currently residing on the Penang island. Up till today, I still could not believe I did an exhibition of my art work in 2014. It was a very memorable and unforgettable experience because Barbara and I both organised the exhibition all on our own. Caught Spike in action! He was barking and tried to attacked the portrait of Justice. Sorry for the shaky photo, I was trying to captured this and in the meantime tried to prevent him from overturning the console table. I do not think of titles immediately, it usually comes to me in the midst of working on that particular piece. I believe that titles are important to a piece of art, it is not only naming a piece of artwork, it gives identity and most important of all, ‘telling’ the audience the story, what the artist is trying to portray in his/her creation. 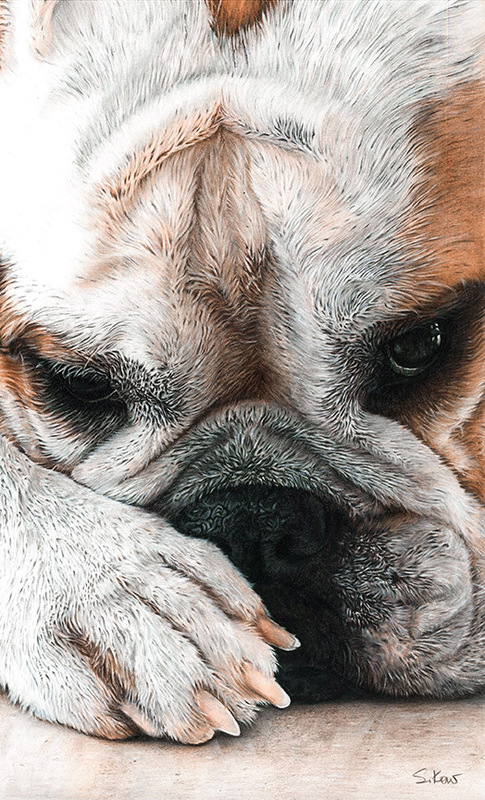 For example, this painting of my English Bulldog, Sugar, will be quite plain if I just titled it with her name. 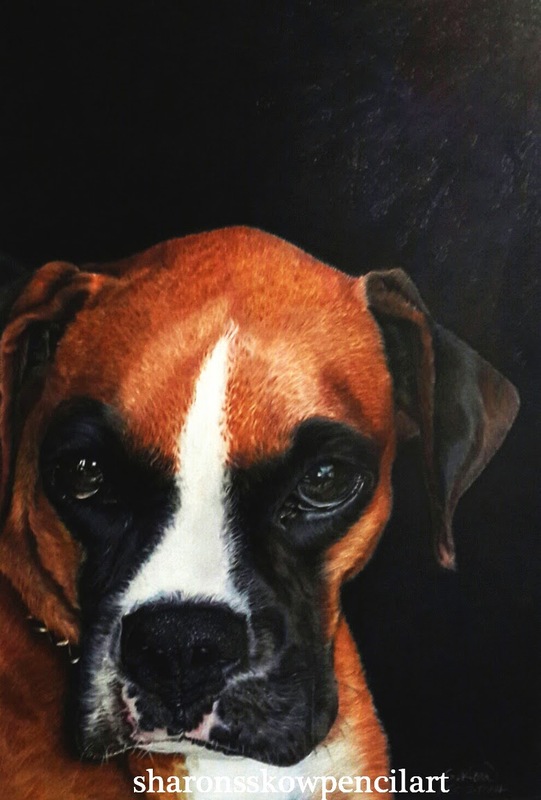 It will be just a portrait of my sweet lovey pet, Sugar.BUT, when I titled it “Contemplation”, it became a different kind of portrait. You will ‘study’ her expression, your eyes will be drawn to her eyes to see what she is contemplating, right?Therefore, I strongly believe in finding the right title. My opinion anyway.